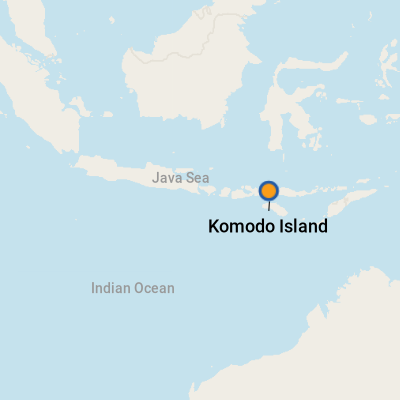 Komodo National Park encompasses this entire Indonesian island, which is the native habitat of the komodo dragon. Upward of 4,000 dragons freely roam on Komodo Island. The island features varied terrain that includes rainforests, white sand beaches and savannahs, and is home to lots of wildlife and unique native plants. The waters are home to some of the best diving sites in the world and have more than 385 varieties of coral, making it an ideal place to scuba or snorkel.